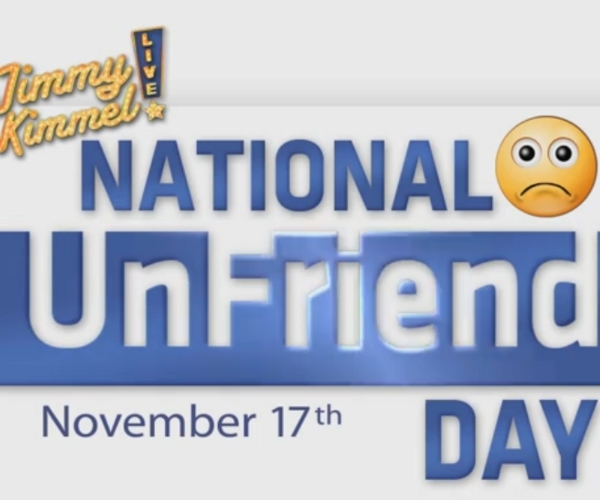 Jimmy Kimmel thinks that you can’t possibly have as many “real” friends as you have on Facebook, and as such he has unilaterally declared November 17 National UnFriend Day – or NUD – with mild support from William Shatner. Do you agree with what the late night talk show host says? Are “real” friends only the ones that show up to move your furniture? Discuss!